Let create two models ie City and Destination. City has an attribute name. 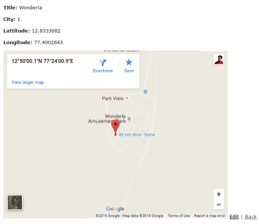 Destination has attributes like name, latitude, longitude and city_id. Create a couple of cities and destinations and associate the data. We want to have markers of destinations on city’s show page.